Why are They Called Ugly Sweaters? It’s the holiday season and that means it’s ugly sweater season! Have you ever wondered why these sweaters are called ugly? Before you answer this question, do you own one. If so, do you wear it? For fun, what do you think are the possible reasons why we affectionately refer to these pull-overs as ugly sweaters? Is it the designs or the color or both? 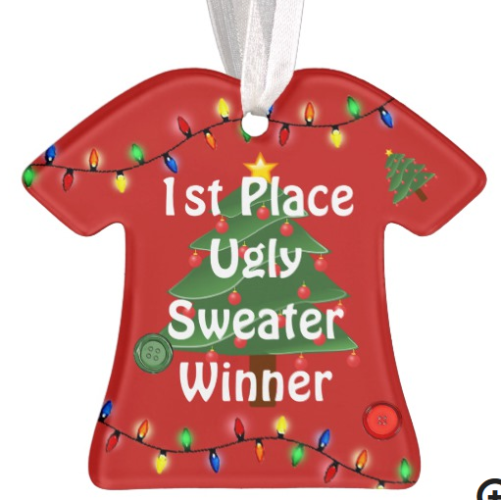 Did you know you can buy ornaments that feature ugly sweaters? Fun, eh? I found this one on Zazzle. I bet there’s a Facebook group that features them. I know people like to have ugly sweater parties, but I have never been invited to one. 🙁 Have you? And even our favorite furry friends can be found sporting them. What Makes a Sweater a Member of the Ugly Sweaters Club? As you know, green and red are complementary colors. When complementary colors are placed next to each other, they cause a visual vibration. 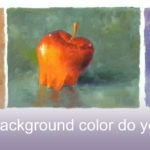 Painters use this knowledge to create focal areas in a painting. However, we usually use it strategically and not throughout the painting. Notice how the red and green vibrates in the left sweater above with the checkered stocking. Stare at it for at least 30-60 seconds. All of the colors in these ugly sweaters are highly saturated, which adds to the vibration mentioned in #1. The ‘ugly’ tends to happen because our eyes do not like to look at highly saturated items for a long period of time. Our eyes need a place to rest and face it, there is no resting with these sweaters! 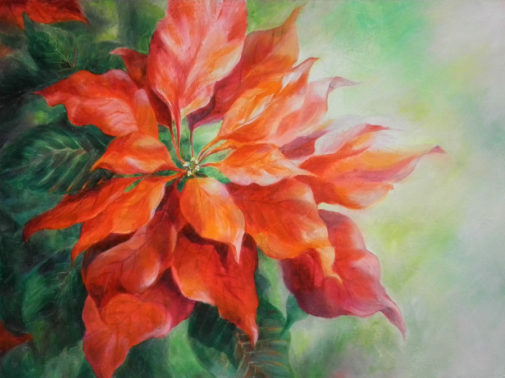 Notice in my painting how the reds and greens vary in saturation as well as value. There are places for the eye to rest. I also used the complementary colors to guide the viewer to the center of interest. Not only do these sweaters sport the complements of red and green, they often include saturated royal blue. In my humble opinion, this adds to the visual jarring as seen in the middle sweater. Perhaps some people would say that the blue adds to the holiday merriment. The lack of soft edges in these sweater designs also contributes to the unpleasant visual experience. Maybe not for everyone, but it does for many, including myself. And finally, from a design standpoint, notice what happens when the colors are removed and you just see the values. The whites pop out rather helter-skelter, which increases the funkiness of these ugly sweaters, though not necessarily to the composition. There is also very little variance in the values, other than the whites and blacks. Ugly sweaters are fun and certainly conversation pieces. Hopefully you now know why they are considered ugly from a color and design perspective. If you don’t own one, are you anxious to go out and purchase one? 🙂 Or perhaps design one? FYI, here is a link to a favorite blog post I wrote a few years ago Why are Red & Green Christmas Colors? If you found this post interesting, please share it with your friends and fellow artists. I also love reading your comments in the box below. 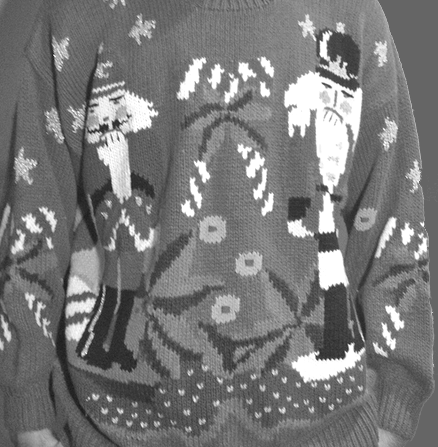 PS Having written this post, I am wondering where the ‘ugly sweater’ came from. Do you have any ideas? Does it have a history? What Background Color Do I Paint? 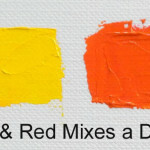 How do You Mix Orange? 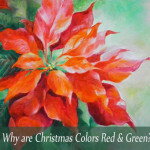 Why Are Red & Green Christmas Colors? 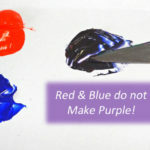 Red and Blue Don’t Make Purple!